I learned what it is like to be a foreigner in a different country and this gave me a new perspective on foreigners in the United States. 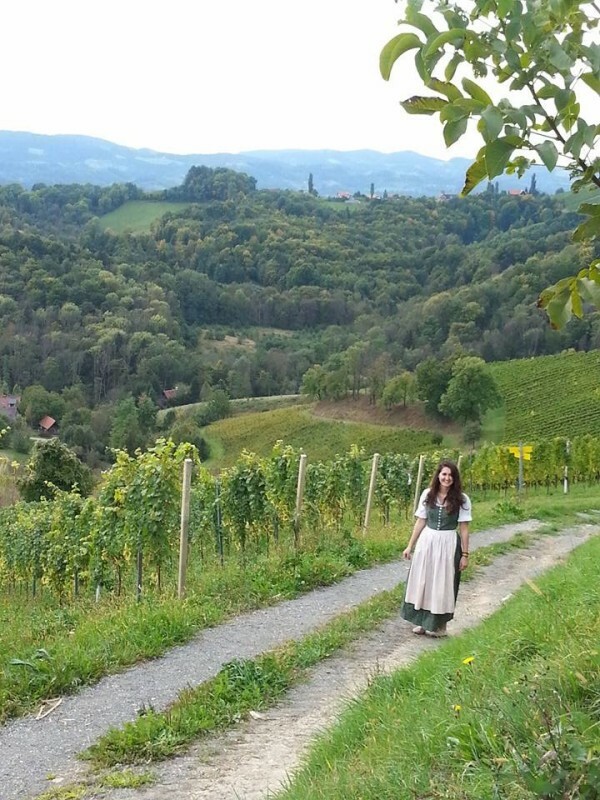 I also got to learn a lot about the Austrian culture and came to understand a new way of life. This was definitely worthwhile. I stayed in the international student dorm. I highly recommend this accommodation because it was very close to IES and gave me the opportunity to interact with international students outside of the IES program. It seems a bit heavy at first, but you have many great options in Vienna! I had one orthodontist and doctor's visit while in Vienna. IES was able to provide me contacts with English-speaking doctors which was very useful. My experience was very quick and effective service! To qualify this, I did a lot of traveling on the weekends which increased my expenses. Vienna is pretty expensive so I mostly went to the cheaper grocery stores and ate at home. Do you have any general money-saving tips for future study abroad participants? Try to go to the cheaper grocery stores, like Zielpunkt. It saved me a lot of money (about 20 euro per week) shopping there instead of Billa. Also, invest in a Vorteilscard Jugend if you are planning on doing a lot of traveling by train. You save 50% on domestic trains and 25% on international trains. Do you have any tips/advice on the best ways to practice the language for future study abroad participants? Whenever you go to a cafe or store or restaurant, try using German. Not only do they appreciate it sometimes, but it is a great way to practice German. Also, if you have a chance to sign up for a language buddy, please do! I had a great experience with my language buddy and it was a great way to practice German and meet local students. * What do you know now that you wish you knew before going on this program? I wish I had knew that I was not going to have that much contact with Austrian students. The only way really was through an RA, the international student dorm, and the language buddy program. But this is all still difficult when you spend most of your time in school with American students. I wish I had also known that Vienna is a pretty expensive place to live, but if you budget carefully it is manageable. Comments: This class was very interesting and thoroughly taught the information about Vienna during the turn of the 19th century. I really enjoyed this class! Dr. Vocelka taught the class very well and was very knowledgeable about the subject. Each lecture dealt with a specific topic of the same time period and I thought this was a very effective way to teach the information. The field trips were very interesting and provided us with an opportunity to see course material first hand throughout the city. I highly recommend this class. Comments: This class was incredibly interesting. We learned about the different art styles present in Austria from Venus of Willendorf to Klimt. Not only did we learn about Austrian styles, we also learned about how these styles fit into the world's art history. Each lecture was accompanied by a field trip to see the works we talked about. I thought this class was incredible.